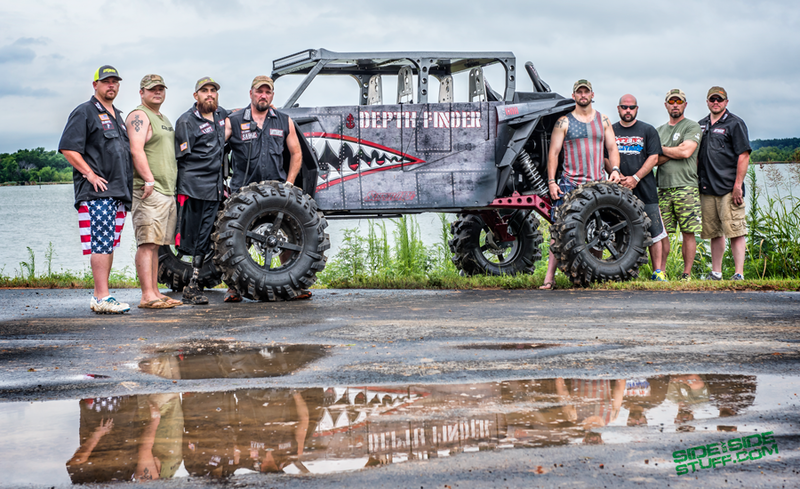 Every once in awhile a truly unique vehicle is built that makes people wonder why they didn’t think of doing that. 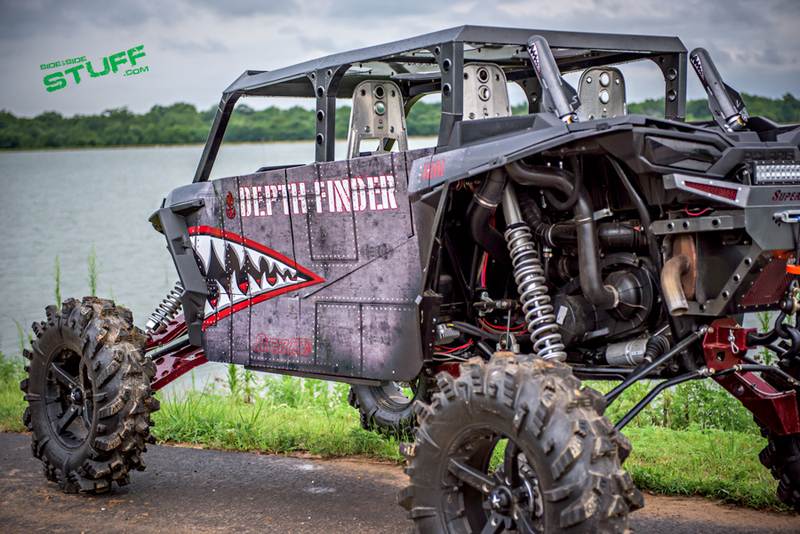 “Depth Finder,” custom built by Super ATV, is one of those vehicles that really steps outside the normal thought process that goes into a custom build. 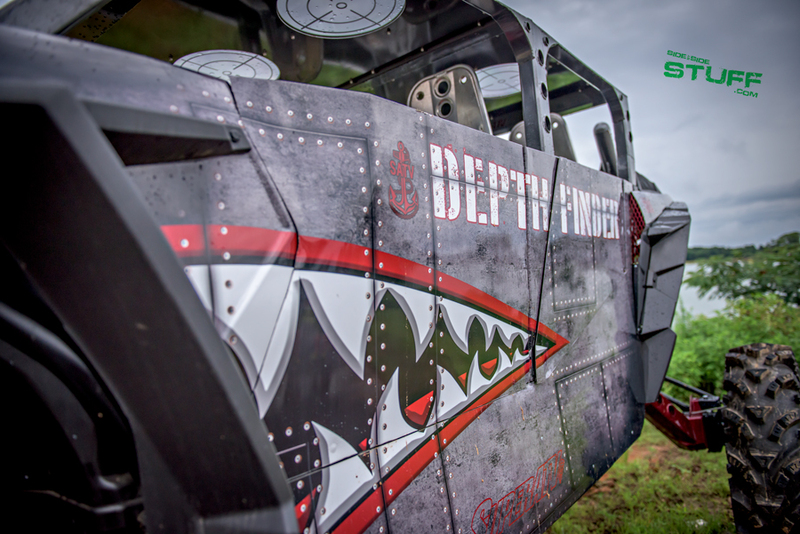 Built for the tv series Destination Polaris, every inch of “Depth Finder” has been customized giving this machine a truly one of a kind look. 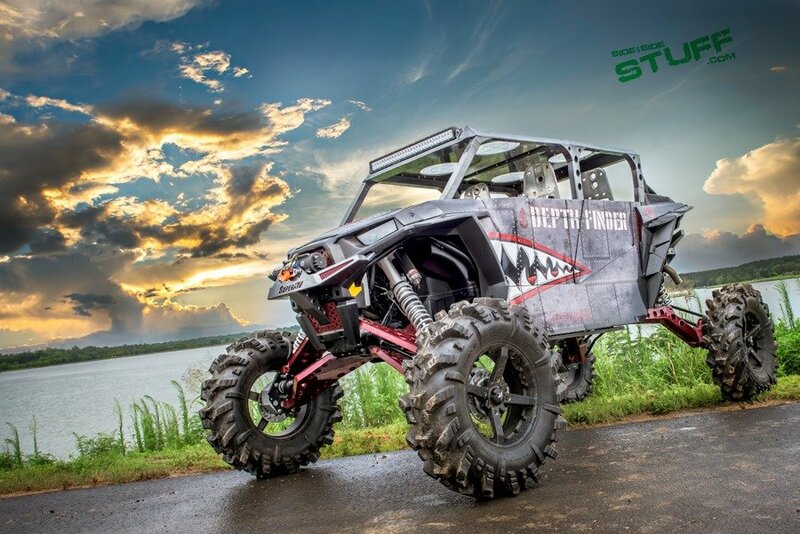 Built around Super ATV’s new boxed suspension technology, “Depth Finder” has a stance and look that is influenced by the look of the military issued Humvee. 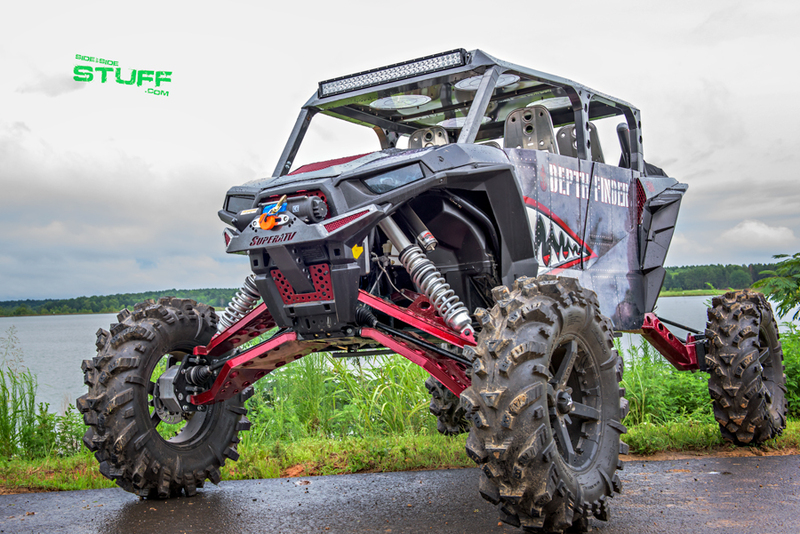 The fabricators at Super ATV removed the stock roll cage and started from scratch to build a one of a kind square tubing cage and roof that has some of the same design characteristics of the boxed suspension components. 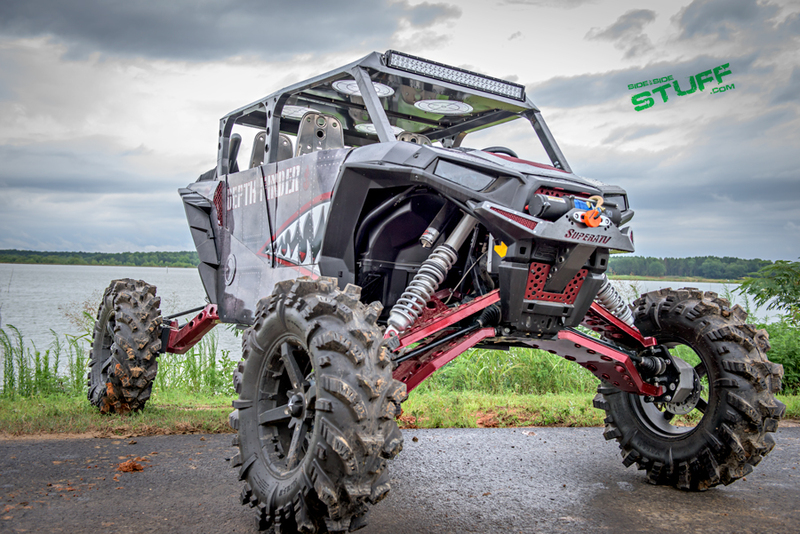 18” MSA Wheels, a set of 36” Terminator Tires and a 7” to 10” lift really gives “Depth Finder” a massive amount of ground clearance. 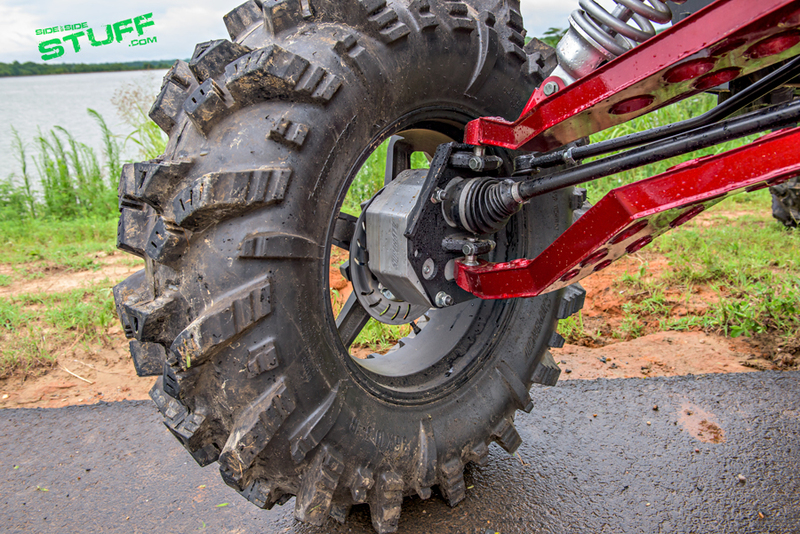 Smoothing out the ride and helping with the ground clearance is the custom set of Walker Evans’ shocks. 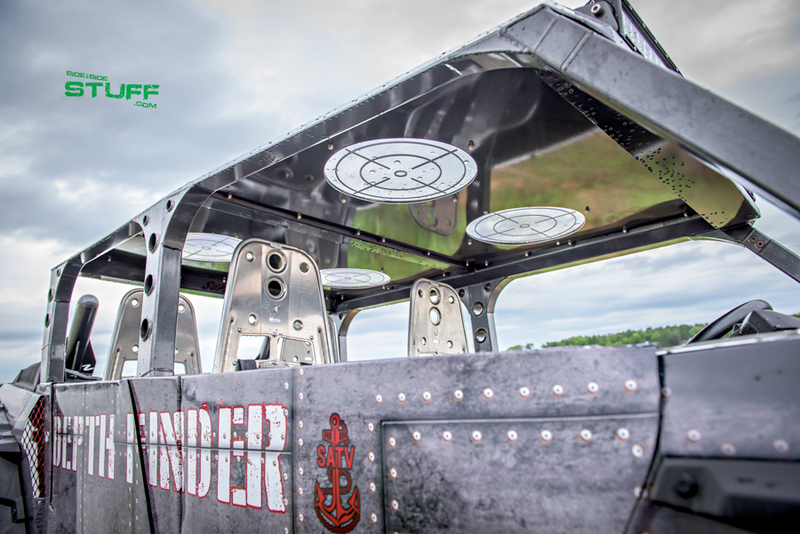 Custom doors and body panels were added, furthering the sleekness and style of this machine. 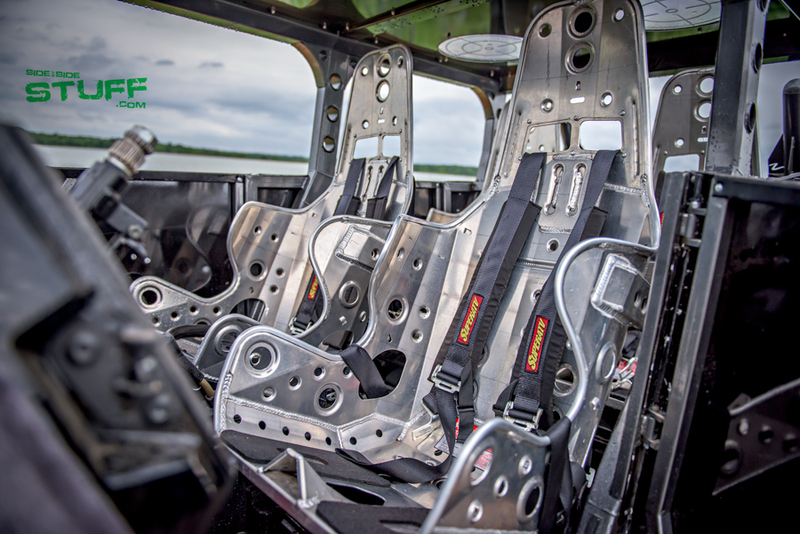 A set of bomber style aluminum seats really sets off the look, adding to the military theme and styling. 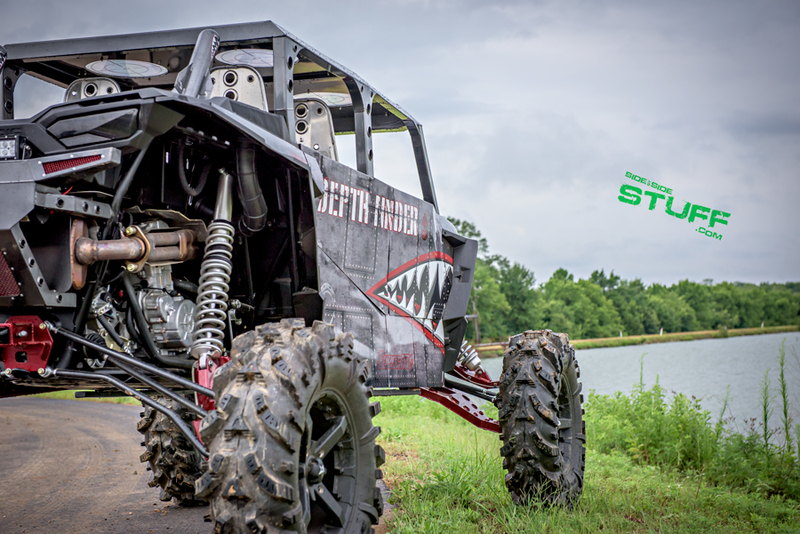 The Super ATV fabricators even fabricated a missile looking cover to hide the over-sized shock reservoirs located in the rear of the machine. 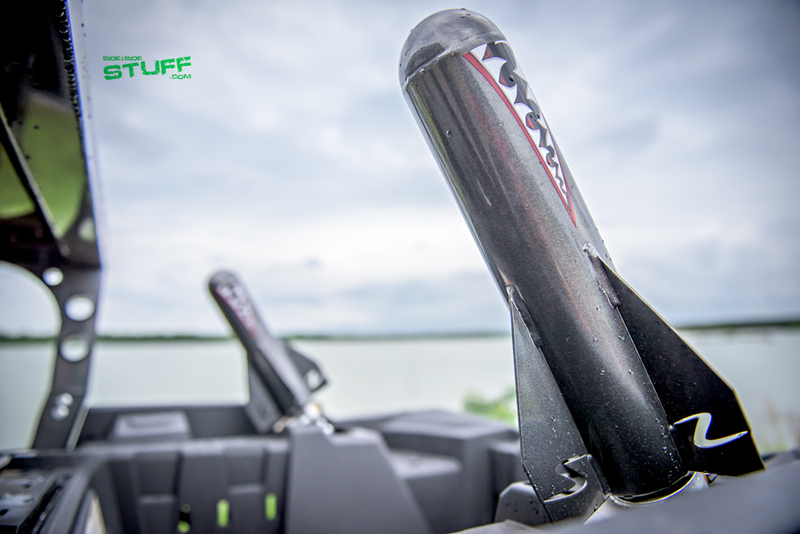 When Dave was asked about performance engine upgrades he told us they had a turbo kit for “Depth Finder,” but had yet to get it installed. 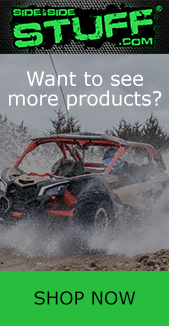 Check out the video and images below.